On Monday I'm trying a new slow cooker chicken teriyaki recipe. Towards the end, I'll throw in a couple handfuls of frozen broccoli, serve it with brown rice, and maybe some naan. 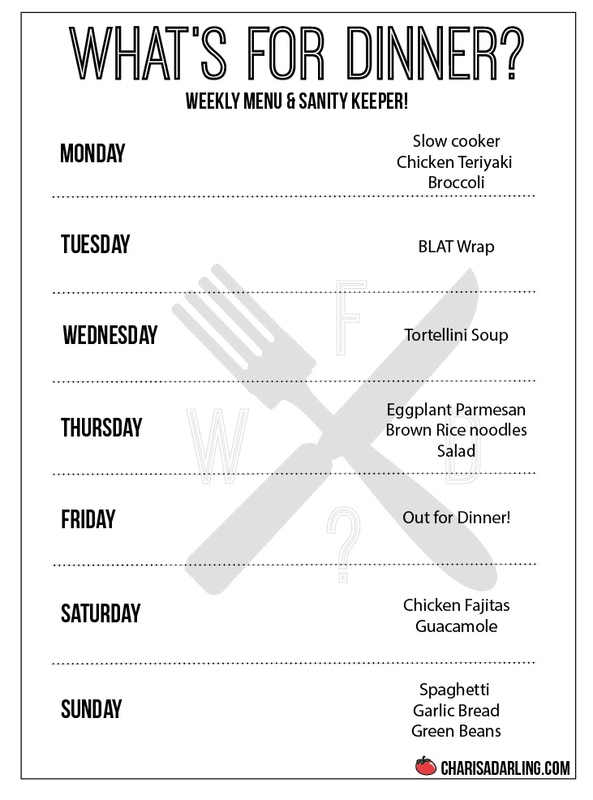 Tuesday is pretty busy and BLAT's in a wrap will be perfect. Carrots, fruit, and a few chips will round everything out. Wednesday is also busy and I'll leave a pot of soup on the stove that way everyone can help themselves when they're home and ready to eat. Edie's tortellini soup is one of my favorites. On Thursday I'm going to try another Blue Apron recipe. I love eggplant, but the kids have never tried it and my expectations are low. Just in case they don't like it, I'll make noodles and a salad too. Kitchen is closed on Friday night! Going out! We haven't had chicken fajitas in a long time, so that and guacamole, plus a few margaritas will be on the menu for Saturday. Ole! Comfort food sounded good for a Sunday, so traditional spaghetti and garlic bread it is. I wish I had a red and white checked table cloth to go along with the theme! 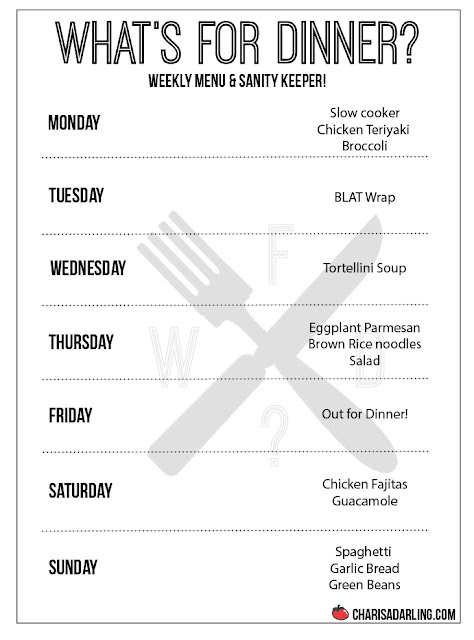 What are you looking forward to eating this week? Have a good one!